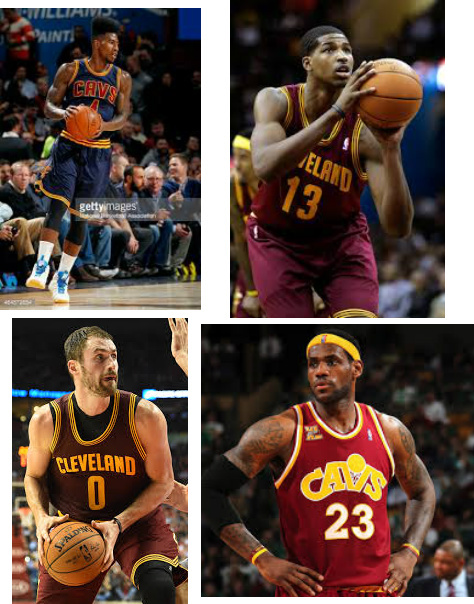 Cavaliers have signed 3 key members of their team from last season. They locked up Iman Shumpert, Kevin Love, and Tristan Thompson. First off, Shumpert got a 4 year deal for $40 mil, per source. Love signed a mega deal for 5 years for $110 mil, reported by ESPN’s.com Brian Windhorst. Thompson to received a deal for around $80 mil for the next 5 seasons, according to ESPN’s Marc Stein. All are good signs, but most of these players have their pros and cons. Shumpert plays a good perimeter defense, but can’t get the offensive game going, but throws down once in a while a vicious dunk. Thompson is a key player for the Cavs because he is a pure big man who likes to just stay in the paint. Good on the post and a hell of a rebounder. Love was a top notch player in Minnesota, but coming to Cleveland was like what happen to this guy’s game. Love is a stretch 4 forward who loves to shoot 3’s and mid range shots. He can post up on smaller forwards, but if their bigger than him its not going to look good. Lets see if him and Lebron can figure something out like he did in Miami with Bosh and Wade. Year 2 seems to be Lebron’s championship, because he is still learning his teammates. If Love can return to be the player he once was in Minnesota look out NBA world. Will Lebron join these key playyers for another try for the NBA championship?